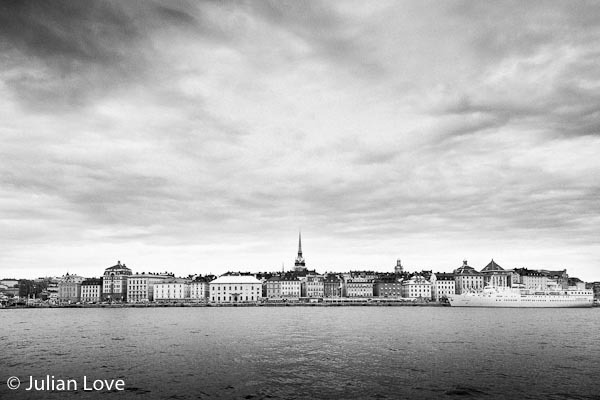 Back in August I spent nearly a month in Sweden shooting for Insight Guides. After a week in picturesque Stockholm I travelled south to the impressive fortress at Kalmar, across to the old university city of Lund, through the fishing villages of the Bolhousian coast towards Norway, then followed the Gota Canal back across the great lakes before heading up north to Lake Siljan and Dalarna county. I spent four years in neighbouring Norway while growing up, and passed through Sweden on one of our epic family road trips in about 1986. This was the first time I had been back since, and one of the things that struck me was just how wonderfully empty and unspoiled the country is. Coming from crowded South East England, Sweden is quite literally a breath of fresh air. Outside of Stockholm and Gothenburg there are very few cars on the road, and forests and lakes stretch across the landscape as far as you can see. If you love the great outdoors there is much to like. I took my old Nikon FE2 along for the ride to shoot alongside my Canon 5D mark IIs for a bit of fun, and you can see the results in the Recent Work section on the website.